So you and your 300 hoplite pals are headed to The Hot Gates? Well, we don't want to spoil anything, but we can recommend that you bring along as many swords and shields as you can carry. Because there's a lady at Delphi who made it sound like your blades are going to get dull long before you run out of Persians to battle, and we doubt that Xerxes is going to let you call a time-out for some honing! 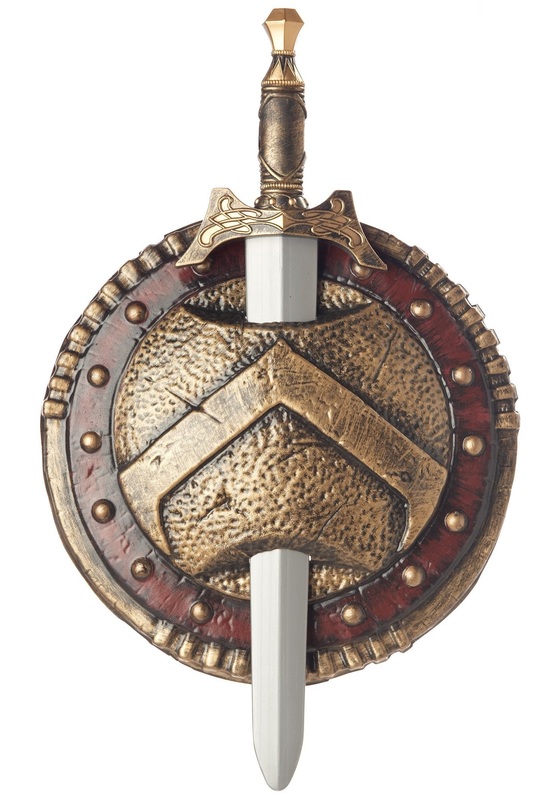 A Spartan Shield and Sword combo like this is probably just the thing you're looking for. It's a tidy package that's portable and easy to store, and it won't weigh you down! At least not compared to all the other gear you'll probably be toting. Plus, that armor you're wearing is pretty revealing. For such a small army, you guys sure have some big muscles! The photo of this product is misleading. The product I received is very low quality and does not have any of the color shown in the photo. The sword is that came with it is NOT the sword shown. I am very disappointed and will not buy from holloweencostumes.com again.